Director of the Design Museum London is an academic, journalist and commentator on architecture and design. He was formerly Dean of the Faculty of Art, Design and Architecture at the University of Kingston, visiting professor at the Royal College of Art and the Observer newspaper’s design and architecture writer. He also served as the Director of Glasgow 1999 UK City of Architecture and Design from 1996 to 2000 and directed the Venice Architecture Biennale in 2002. 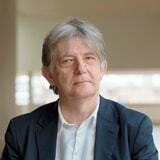 Sudjic has curated exhibitions at the British Museum, the Royal Academy and the Institute of Contemporary Arts. From 2000 to 2004, he was editor of Domus, the international magazine of art, architecture and design, and was founding editor of Blueprint magazine from 1983 to 1996. He has written and edited many books on design and architecture and in 2004 Deyan was made an honorary fellow of the Royal Institute of British Architects. Sedjic was made an OBE in 2000. He serves as Co-Chairman of CABE’s design review panel and has been a Commissioner at Commission for Architecture and the Built Environment since May 2006.